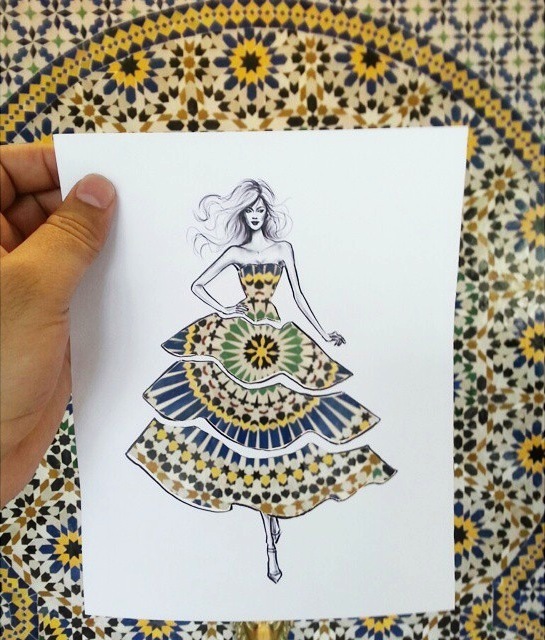 I recently discovered an awesome Instagram page by Jordan based fashion illustrator, Shamekh Al-Bluwi, that I wanted to share with you. 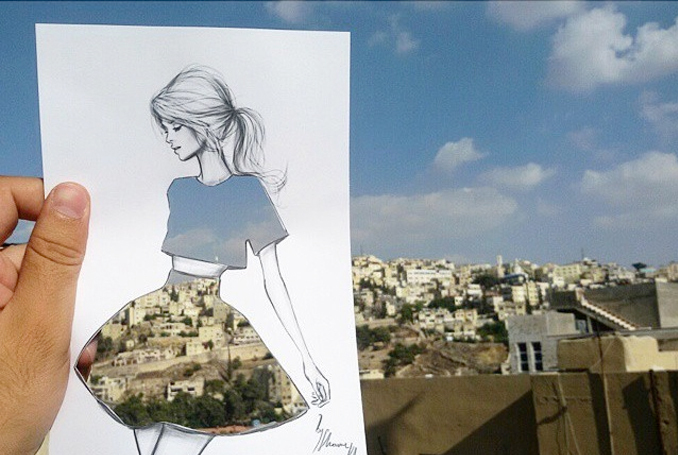 Shamekh's creativity doesn't stop with his beautiful fashion illustrations. 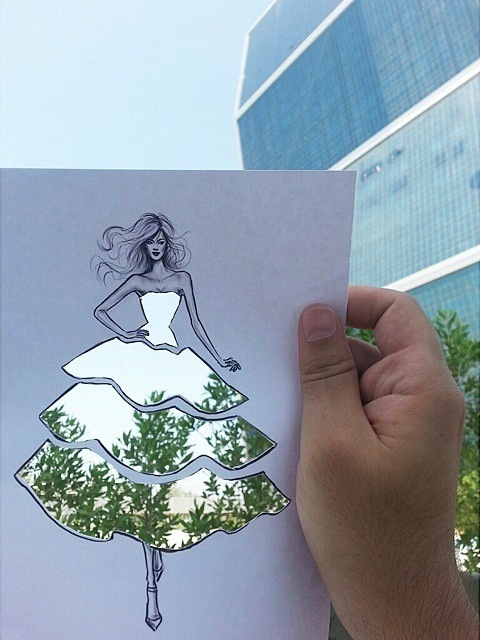 Instead he has managed to combine two of his passions, fashion and architecture to create visually stunning papercuts. 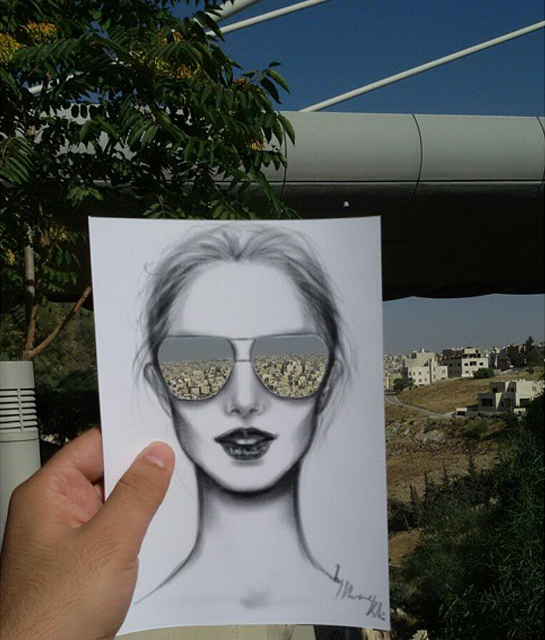 Using his fashion sketches Al-Bluwi handcuts the outlined clothing and completes the image with a direct reflection of the world as it's background, filling in the the gaps of the clothing. 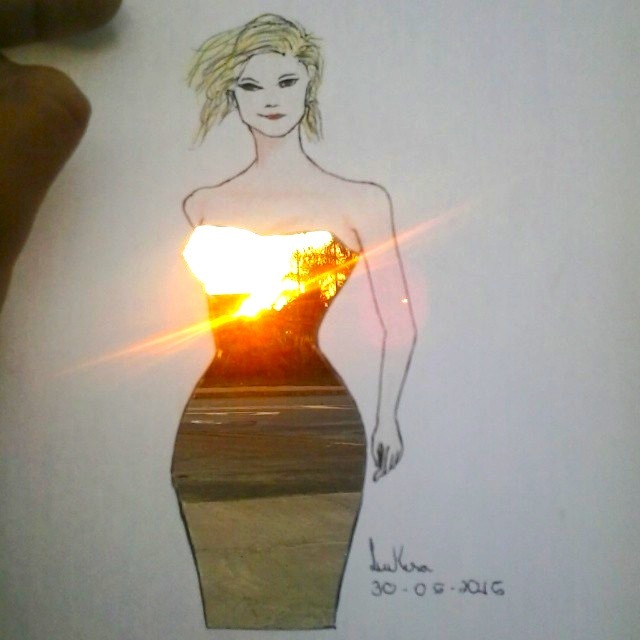 From tiles to sunsets, the image of each outfit depends solely on where he chooses to hold up his sketches. 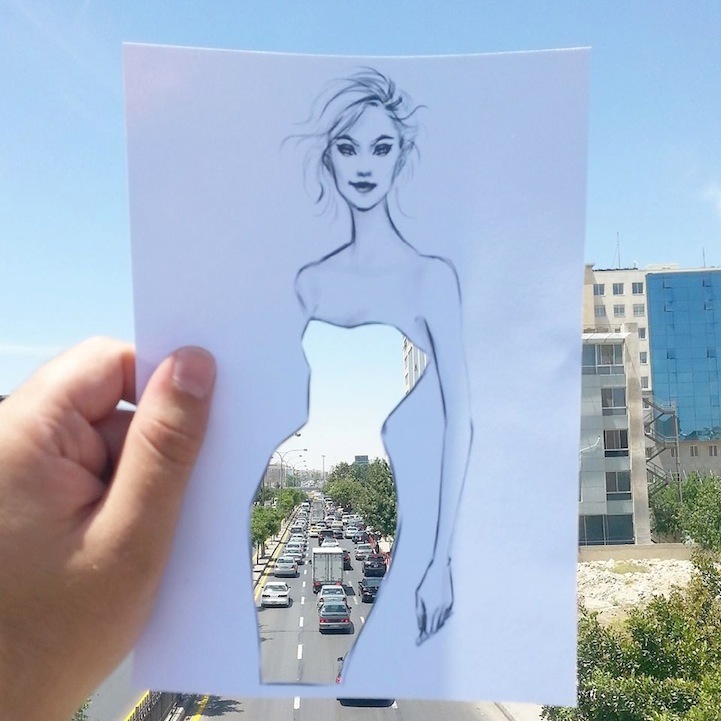 Every background acting as a unique fibre to form each outfit. 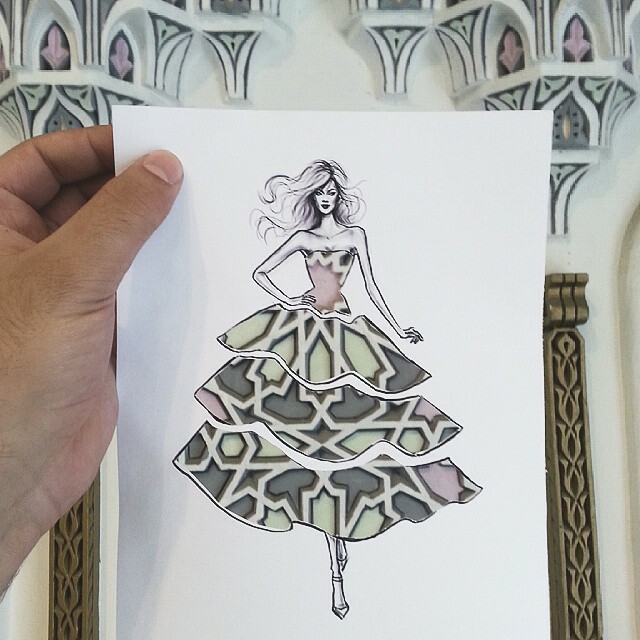 I have picked out my favourites but do check in to Shamekh Al-Bluwi's instagram page for more of his brilliant work.